Want to start sewing with some easy sewing projects for beginners? This post will share 9 easy sewing projects perfect for a beginner, plus I’m sharing the BEST way to grow your skills as a seamstress. Read on for the post! Sewing is my first creative love, my happy place, so much so that my machine is left set up on my dining room table 90% of the time. If you came over for supper, I’d have to move the machine. That’s how much I love sewing. My mom taught me to sew and she was taught by her Granny Ruth. Mom grew up in a poor home and Granny Ruth taught her that if she could sew, she’d always be able to have nice things to wear and a nicely decorated home. I still have Granny Ruth’s aqua seam ripper and that very important lesson. Yeah, sewing is super fun, but it also allows a person to mend, hem, alter and extend the life of garments which is clearly great for your heart and checkbook. Because I know how to sew, the options for a garment I can buy, wear, keep, etc is SO much greater. If I see a fantastic hot pink vintage 80’s romper on Instagram that is just a bit too big everywhere, you better believe I’ll snap them up because sewing is EASY, my friends. Sewing is easy, empowering, and such a total blast. At the very beginning of Pinterest (and, the beginning of me following any bloggers at all, really) close to 10 years ago, I started following a pair of sewing enthusiasts for inspiration and sewing tips. While I knew how to sew from my mom’s instruction and years of working at JoAnn’s Fabrics, the blog’s by Merrick of Merrick’s Art and Leanne of Elle Apparel. Their blogs gave me the BEST ideas for how to score a dress on Old Navy’s clearance rack 5 sizes too big and make it fit (that really was a post on Merrick’s blog and I really did exactly what she told me too- I was a new teacher on a tiny budget and it WORKED!) and tips for how to create beautiful hems that looked SO professional, or how to add pockets (HELLO dresses and skirts with POCKETS! ), or how to add zippers that looked even better than what you can get in the store. Fast forward to today. These gals are real life friends at the other end of my state and they created a sewing course that will knock your socks off. I’m still sewing at my dining room table and I want YOUR dining room floor littered with thread and snips of beautiful fabric the way mine is. The course is a video library you can access anytime you like, over and over. It will show you STEP BY STEP exactly how to build beautiful garments using any pattern you’d like. The name of the course says a lot: The Modern Girl’s Guide to Sewing. Great title, right? The following sewing projects are beginner friendly and will definitely get your creative juices flowing but a course will teach you the pro tips that will make your garments look BEAUTIFUL. They won’t look homemade. They will look SHARP, which is my favorite adjective to use when describing top-notch sewing projects. Dive into either the Beginner or Intermediate videos and easily create custom, perfectly tailored garments and then apply what you learn to curtains, Halloween costumes, tote bags, and all the home decor you can think of. The sky is the limit with The Modern Girl’s Guide to Sewing + a little creativity….and if you are reading this blog, I know you have more than a little inside. Dive in here! This pattern is such a good one for beginners because there are not TOO many options which is something that I have found overwhelming when I was learning to sew garments. There are two bodice options- sleeveless and a tank top, and a peplum or full-length skirt option. That’s it. There’s a limited number of sewing pattern pieces to cut out, which also limits overwhelm, and the tank top option, in particular, is really simple to put together. I found the pieces to match up exactly and I’m not a perfectionist when it comes to cutting- not by a long shot. Because my kids are still small, I really value a pattern that can be cut out and assembled quickly and this pattern was perfect in that regard. Sewing lingerie sounded next to impossible before I tried it and in this post, I’ll show you why it’s not only super simple, it’s fast (hello tiny pieces!) and why elastic is nowhere near as difficult as you might think. The post also has links to FREE lingerie patterns from a fantastic lingerie pattern creator. You won’t be sorry you checked out this post. If you are really feeling at the idea of sewing your own undergarments, I wrote a post for that too! 10 Things You Think When Sewing Lingerie for the First Time is a fun, quick, and inspiring little read to get you ready to sew! Sewing a little girl’s tutu is actually a lot easier than you might think and is a perfect sewing project for beginners. This simple elastic waist skirt can be adjusted for a variety of ages and you can fill the skirt with fun embellishments like faux flower petals as I did. My Gram, a continual source of sewing inspiration (mentioned here), found this half-finished vest in her fabric stash. I loved the fabric but didn’t need a vest. Because I have been on a back-interest tank kick (like these here) I immediately imagined cutting a deeper neckline and crossing the vest front into a flyaway back. Of course, unless you also stumble upon an unfinished vest in your sewing stash, this can’t really be considered a tutorial. It is really a demonstration of using creativity and bias tape to turn something unusable and undesirable (sorry, but I’m not rocking a vest to school…at least not a floral one…yet) into something cute. I made this beginner friendly messenger bag using a pattern from the Palindrome Dry Goods blog and Etsy shop using easy-to-sew cotton that I purchased before I had my first child, over 6 years ago. Once you have been sewing a while you may experience the thrill of finding fabric that you forgot you have purchased and/or forgot how much you love the way I did. This bag was also easy enough to whip up while the children were awake, and in between stirring supper on the stove. I used a super stiff decor bond interfacing that the pattern designer didn’t call for but I had on hand and used on a whim with good success. Read on for the super easy tutorial! In this tutorial, I’ll show you how to sew your own ironing pad and avoid hauling out a cumbersome ironing board next time you need to iron. This ironing pad tutorial is beginner friendly, and the result is space saving and customizable. It is so nice to be able to pull this pad out and iron anywhere, rather than drag out an awkward ironing board. Sewing super stretchy spandex and similar knits can be intimidating but the results can be totally rad workout clothes like the neon purple leggings I made recently. These are the tips I can share to ensure a successful spandex sewing session (like what I did there? I’m an English teacher at heart!). These tips will also help if you’re sewing a dance or yoga item too! This garland is truly simple to sew for a very beginner for several reasons. Jute webbing is easy to sew on, and requires only a universal needle, and basic sewing thread. Sewing on jute webbing (that characteristically is just striped burlap meant for supporting a chair cushion in a chair or sofa) is easy, and gives a good chance for a newbie to practice making a narrow seam allowance (sewing close to the edge) and pivoting at the point of the garland to make a nice, sharp point. Of course, if you are a seasoned seamstress, this project will be even faster and easy to customize further. Jute comes striped in a variety of colors (navy, black, and red being the most common) and a couple different widths. Mine is 4 inches wide. The thing that you have to know about vintage tablecloths is that they are often roughly showered curtain sized. You also need to know that because you’ll be sewing the tabs (those fabric loops that connect to the rod) at whatever interval you want, you can make a tablecloth fit a shower. My dear friend saved these seed sacks from a garden project and asked me to make them into pillows for their living area. I waited for months and months because I wanted to find pillow forms for the project; pillow forms are like a plain, muslin covered pillow that remains in pillow shape so you can remove the cover and wash it easily. They are handy, but they don’t come in every shape and size imaginable, and they don’t come in real seed sack size. These are some of my favorite sewing projects. One bonus that I’ll share features on how VERSATILE sewing can be; one pattern can be used to create countless looks. This post 1 Sewing Pattern 3 Ways shows 3 completely different tops that were a cinch to make but used the same pattern. It’s a cute tank, right? Head to 1 Sewing Pattern 3 Ways to see the other variations! Hint: Pink floral! Wildflowers, sewing brings you creative joy and happiness, especially in a busy world where you spend an awful lot of time folding laundry or paying bills (my LEAST favorite chore ever). By learning to sew with the Modern Girl’s Guide to Sewing, you’ll be able to create items that fit YOUR body (goodbye dressing room angst! ), your kid’s bodies (hello, easy!) and save money doing it. Choose which level you’re interested in, or I suggest buying the bundle of videos so you’ll be sewing like a boss seamstress in no time! See you in the course, Wildflowers! If you are a beginner and you want to learn how to sew lingerie, here are the 3 easy steps to take to start sewing basic but beautiful bralettes, camis, and undergarments. Sewing lingerie is fast, fun, and so satisfying. I had wanted to learn how to sew lingerie for the longest time but was afraid it would be difficult, time consuming, and that the finished product wouldn’t look great. It’s true that there is nothing to fear but fear itself because when my blogging friend Hannah of Palindrome Dry Goods made the Barrett Bralette from Madalynne Intimates with their FREE pattern, I realized my fear was a silly one, and that I needed to dive in. Madalynne Intimates has several free patterns that are excellent in terms of clarity, quality and ease of construction. There’s no underwire or complicated steps in these free patterns. I made the Mallori first, and then the Barrett, and as in intermediate sewist, for example, I was easily able to see that I could skip the lining in the Barrett (because my 80’s neon leopard knit was sturdy enough without it) and thus was able to see how to proceed therein. There are beautiful photographs that actually help you see what to do next and I found them very instructive. I told myself that I’d try it first with the free pattern and with fabric scraps. I went to my local Walmart (which I NEVER go to- gave all WalMarts up cold turkey in ‘09 and haven’t looked back!) and they of course carried 4 types of elastic and all were ugly. Initially, I scored elastic gold at my local thrift shop, Martin’s Experienced Items. For 35 cents a yard I got perfect condition, off the roll strap elastic and picot edge elastic, but no waistband elastic- thus is the thrift store search. You’ll find some gems but not all. I used these on my first bralette, the Mallori, in fuchsia and white, and it turned out darling. My blogging soul sister Hannah of Palindrome Dry Goods told me about the Etsy shop Porcelynne and they are AMAZING. They have the rings, sliders, straps, elastic of every kind and color…and the prices are so reasonable and shipping was fast. I especially loved their bra straps that are already put together- they are the rings, sliders and straps for about a dollar. Um, yes please! There I got raspberry colored elastic for around my ribcage for a bralette I haven’t made just yet, black picot edge elastic for my Barrett (seriously, how great did that turn out?! ), black ribcage elastic for the Barrett, a bag of clearance pre-made bra straps in pastel colors (#sewallthelingerie) and several sets of silver and black rings and sliders. Perhaps the most important step of all is the stretch needle. I know, the stretch needle looks basically exactly the same as a regular sewing needle but it is NOT. I repeat: GET A STRETCH NEEDLE. They are like $3 for a package and they make such an amazing difference in your sewing experience and the resulting product. They the difference between fury and fun, honestly. You can get them on Etsy HERE. Stretch needles wiggle unobtrusively in between the knit, as opposed to slicing through the fibers and creating snags and puckers. I know, it hardly makes sense, but it’s true. Bralettes are incredible stash busters, my friends. If you don’t sew much (yet!) this means that they use up a TINY amount of fabric (well under a quarter yard) so they are economical, frugal, and sustainable. They are fun to sew in the same way baby clothes are fun to sew- they are fast! Knit is forgiving so think t-shirt material, and even lighter. You must choose a stretch, but the sky is the limit. I would NOT choose something slippery for your first or second lingerie attempt, however. Madalynne Intimates sells these GORGEOUS kits with the fabric, elastic, and sliders all in one darling box. I’d highly recommend them especially if you’re uncertain about choosing elastic and fabric on your own or fear you’ll suffer from decision paralysis. Use zig zag for seams that will go horizontally. This allows for the elastic and the knit/stretchy fabric to do it’s job- to stretch. You can use a straight stitch for vertical seams like the side seams of the bralette and perhaps to attach the bra strap to the rings. Take the time to change your thread to match the elastic and the fabric. I chose contrasting elastic and fabric (I’m such a peacock!) so I had white bobbin thread and black top thread….for about 2 minutes and then had to switch them out so I had the reverse: black bobbin and white top thread. It was TOTALLY WORTH IT. My Barrett Bralette looks SO professional and sharp because I took the few moments required to switch my thread. I could have perhaps chosen neon purple for top and bobbin and sewn on my merry way…but I’m thrilled with my result. If it looks terrible, rip it out and try again. I only had to take out a couple seams- one on my bra strap- it was a tiny bit crooked at the ring- and I’m so glad I did. On a tiny garment, those details really show up. If you make the Madalynne Bralettes from the free patterns and are ready to try some of her paid patterns, DIVE IN HERE! She has soft cup bras, high neck lace options (so cute peeking out from a tee!) a knit bodysuit pattern (see how my friend Hannah made it here! ) and tons more. You may have read my post, 10 Things You’ll Think When Sewing Lingerie For The First Time, and if you haven’t you should for a peek into what will go through your mind when you begin your first project! If sewing stretch has lit a fire within, check out one of my most popular sewing posts (ever!) How to Sew Spandex for more stretch sewing tips! If you’ve never sewed lingerie, but wanted to, read this post first. Sewing lingerie is fun, easy, and so satisfying! These are the 10 Things You Think When Sewing Lingerie For The First Time. I wrote a post that so many of you have read that’s called How to Sew Spandex (check it out for how to sew stretch with success!) but sewing stretch is a bit different than sewing undergarments. 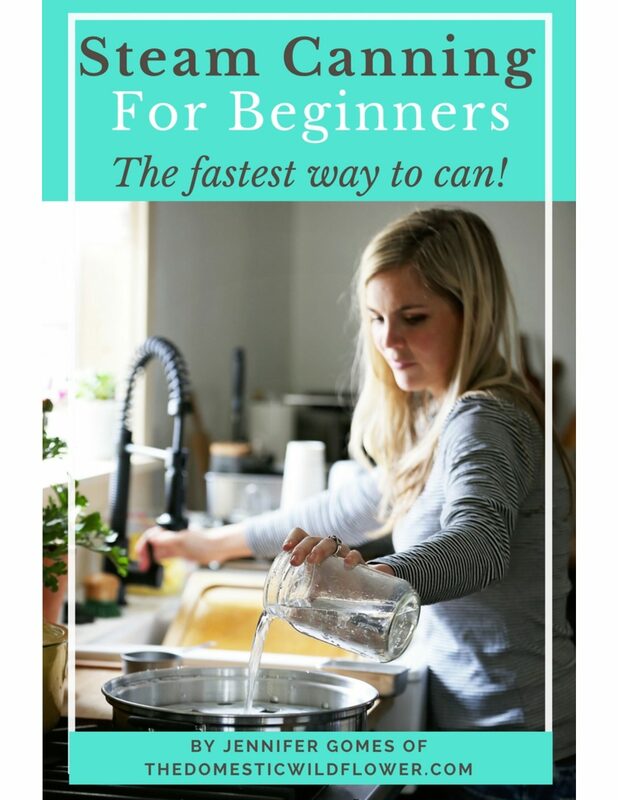 I’ve wanted to learn how for a long time but I was worried it would be an expensive disaster (can you relate?). One of my favorite sewing blogs and kindred spirits, Hannah of Palindrome Dry Goods, (check out her Esty shop here!) suggested I check out Madalynne Intimates for FREE sewing patterns for bralettes. After I saw the darling and frankly easy-looking bralettes that Hannah whipped up, I dove in. Here’s what I was thinking as I made them. Note: I sew, comfortably, at an intermediate level. I’ve quilted, mended jeans, and made garments like tops for myself often. I’ve sewn stretch yoga pants, but never anything like lingerie and this is indeed a category of textile sewing all its own. The links you’ll notice in the post are affiliate links to products I most highly recommend for successful lingerie sewing. This is so much elastic sewing. 2. What if this doesn’t fit?! 3. This is not as hard as I thought. 5. I seriously can’t see the difference between a stretch needle and a regular needle. At all. 6. Holy Cow, there must be a HUGE difference between a stretch needle and a regular one because this looks terrific. 7. This is going really fast! Tiny garments are awesome! 8. So this is what the zig zag is for! 9. Different elastic color from fabric color means changing thread color every five minutes…and a different bobbin color from my main color! 10. Omg this is gonna look amazing! If this is intriguing to you, check out my blog post about sewing the Madalynne Intimates bralettes right here!